HP Pavilion 15 are a range of Windows based laptops with 15.6-inch display. Latest members of the range run on Windows 10, but Windows 8 or Windows 7 models may also be available. 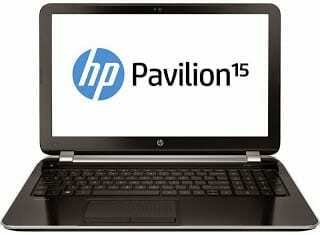 HP Pavilion 15 laptops are relatively low cost and great for home use, home-office or for students. 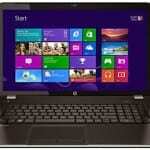 It also a good entry level laptop if you want start programming or web development. Powered by top grade Intel Core i3, Core i5, or Core i7 processors, the HP Pavilion 15 offers a solid performance. The HP Pavilion 15 comes with similar screen as most low cost and mid range laptops from HP. It measures 15.6-inch display with a resolution of 1366 x 768 pixels. Most of the latest models run on Windows 8, so if you want Windows 7 you have to verify that the model offers Windows 7 or at least a Windows 7 downgrade. 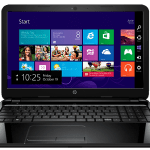 HP Pavilion 15 laptops are great value for money, powered by high performance Intel Core i3, i5, or i7 processors with AMD Radeon HD Graphics or Intel HD Graphics. They offer 4GB or 8GB RAM with capacity for a 16GB maximum. HP Pavilion 15 comes with 500GB, 750GB, or 1TB hard drive. Ports available on HP Pavilion 15 notebooks include HDMI port, Ethernet, Bluetooth, USB 3.0, USB 2.0, Wi-Fi 802.11 b/g/n, and card reader. They also offer HP HD webcam with mic and Skype baked-in. HP Pavilion 15 laptops is available in Nigeria at leading computer stores and online stores in the country. 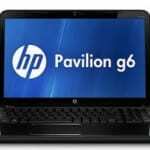 HP Pavilion 15 Price in Nigeria ranges from 105,000 Naira to 550,000 depending on the configuration and your location in the country.